Athlete’s foot known scientifically and medically as tinea pedis is a highly contagious, irritating, and often painful condition caused by a group of fungi known as dermatophytes. It’s most common to get it in hot weather when feet are more likely to be sweaty, but you can get infected any time of the year and not just your feet, but other areas of your body too. Most commonly, coming into contact with surfaces infected with the fungi in communal and public bathrooms, showers, locker rooms, and swimming areas is how most people get infected. Sharing socks, shoes, and towels is another cause. Symptoms can include redness, cracking, flaking, blisters, swelling, deformed or discolored nails, itching, and burning. It’s one of the most common skin conditions in America. The problem of fungi becoming resistant to antifungal creams increasing. In addition to this, a lot of these treatments can be expensive and often contain harmful chemicals. Using coconut oil for athlete’s foot is a natural, safe, and effective way to get rid of athlete’s foot. 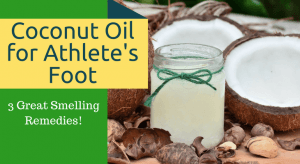 Does Coconut Oil Help Athletes Foot? Although there weren’t studies done on the effect that coconut oil has specifically on the particular fungi that cause athlete’s foot, there are published studies confirming the efficacy of the use of coconut on other fungi (1, 2). Coconut oil is mostly made up of lauric acid, a medium-chain fatty acid that has antibacterial properties (3, 4). While bacteria is different to fungi, bacteria are often responsible for the smell that sometimes accompanies athlete’s foot. Coconut oil has anti-inflammatory properties which will soothe the affected area (5). 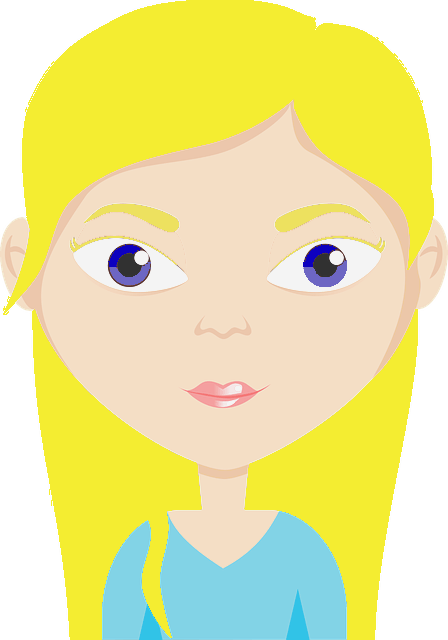 There are many testimonials about the use of coconut oil. Here is a man called Seth’s story about how coconut oil has cleared up his athlete’s foot infection. There are a few ways that you can use coconut oil for athlete’s foot. Some remedies are also really helpful but can smell bad. Most of these recipes won’t have that problem. Be sure to wash your feet before any treatment. You can use these treatments twice a day or you can alternate between using one of these recipes and another athlete’s foot remedy of your choice. As long as you treat the affected area twice a day. Simply apply to the affected area or your whole foot and cover with a clean sock, or you can use a plastic bag and then put on a sock to keep the bag in place. Keep the coconut on for at least 2 hours, but you can also leave it on overnight, then rinse it off and dry your feet thoroughly. Note: Bear in mind that plastic makes you sweat which is something you want to avoid if you have athlete’s foot. You just want to be able to prevent the coconut oil from rubbing off the affected area. Essential oils also have antimicrobial properties (6). Coconut oil is a great carrier oil to dilute essential oils in, not only can this remedy get rid of athlete’s foot, but it can be used as a body moisturizer among other things so don’t worry about the coconut oil or essential oils going to waste once your infection is healed. Dilute 5-30 drops of essential oil per 2 tablespoons of coconut oil depending on how strong you want the fragrance to be. Mix them together, you may need to slightly melt the coconut oil to do this. Apply to the affected area or whole foot and cover with a clean sock, or you can use the bag and sock method. Wait a few hours or keep it overnight, and then rinse your feet clean. Aloe vera is also known for treating many different skin ailments. It also has antifungal and anti-inflammatory properties (7). You can use the fresh gel which is obtained when you cut an aloe leaf and squeeze out the gel or you can use store-bought aloe vera gel. Just make sure that it has no harmful chemicals added to it. Go organic if you can. Put equal parts of aloe vera gel and coconut oil in a small bowl or tub. Whisk them together, or you can use a spoon or fork to mix them. Apply it to your skin as you would the other coconut oil remedies. Leave it on for a few hours or overnight before rinsing it off and drying your feet completely. Only make a small amount at a time because when it stands too long or there are temperature changes it will cause the ingredients to separate. If this does happen, you can just whisk them together again. If need be, you can put it in the fridge to help the coconut oil to solidify a little which may help. Always use organic or virgin coconut oil. Refining coconut oil and stripping the odor and flavor from it also strips some of the medicinal properties. If you don’t like using your hands to apply these coconut oil remedies you can heat it up slightly so that it becomes soft or liquid (be careful of burning yourself) and use a cotton ball to apply the liquid coconut oil remedy. You can also use coconut oil to get rid of nail fungus. Coconut oil allergies are extremely rare, but if you have never used or consumed coconut before, first do a patch test just in case. If you are going to be using aloe vera or essential oils, do a patch test first. Some people may be sensitive or allergic to certain oils, and while the chances of an allergic reaction resulting from the use of aloe vera are very slim, it can happen to people with very sensitive skin. If you want to use essential oils, speak to your doctor first if you are pregnant or breastfeeding, are on any medication or have a have a medical condition. Always wash your hands before and after treatment. Always use clean socks each time you put on socks. Put on your socks before any of your other clothing to prevent the fungus from spreading to your other body parts via contact with infected clothing when getting dressed. Clean the bath, shower, and floor each time you’ve used the bathroom to get rid of the fungus. Never walk barefoot or shower barefoot in public or communal bathrooms, locker rooms, and pool areas. You can shower using thong sandals. If you are diabetic, see your doctor even if your infection is not severe just as a precaution. If your infection is very severe, go see your doctor for treatment. If you don’t like using coconut oil for athlete’s foot, why not try baking soda? Please let us know if you found these remedies helpful. We would love to hear from you.